Pug | One Dog More! This little lady is 3 years old. She is up to date on shots, spayed, microchipped and heartworm negative. This is what the vet’s office where she is being fostered has to say about her: The pug, the girls here named Puddles but me and Randy call her Ira and this is because when we let her out to play she does this sound that sounds like IIIII RRRRRRRRRRR AAAAA and I said, Is this your name? and then she dances around then runs to me. 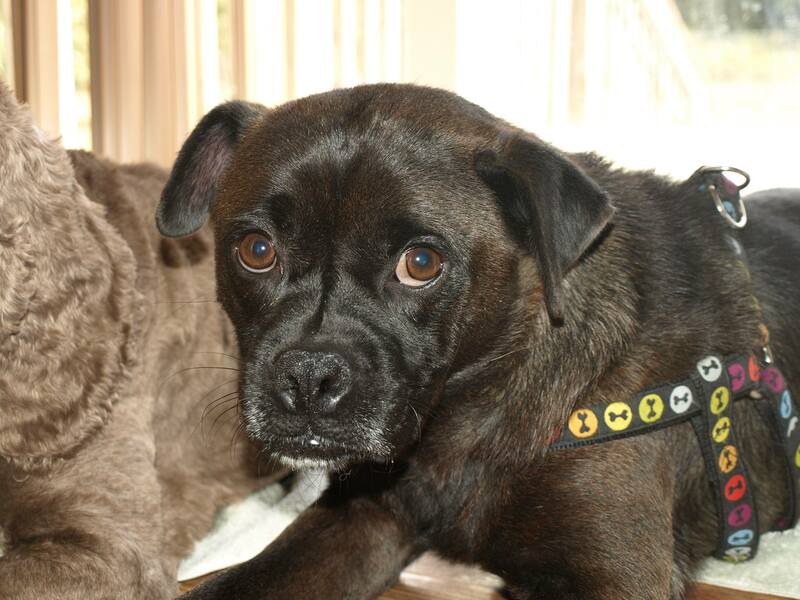 Ira or Puddles or whatever you want to name her is a sweetie and will make someone a wonderful companion. 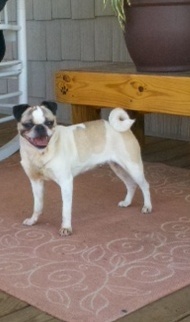 Bogey is a fantastic male Pug mix that just wants someone to love him. He is wonderful with dogs and cats and kids. He is very shy at first but warms up quickly. He is up to date on shots, microchipped and neutered. House and crate trained. He is about 2 years old and weighs 29 pounds. Loves to sleep on the floor next to your bed. 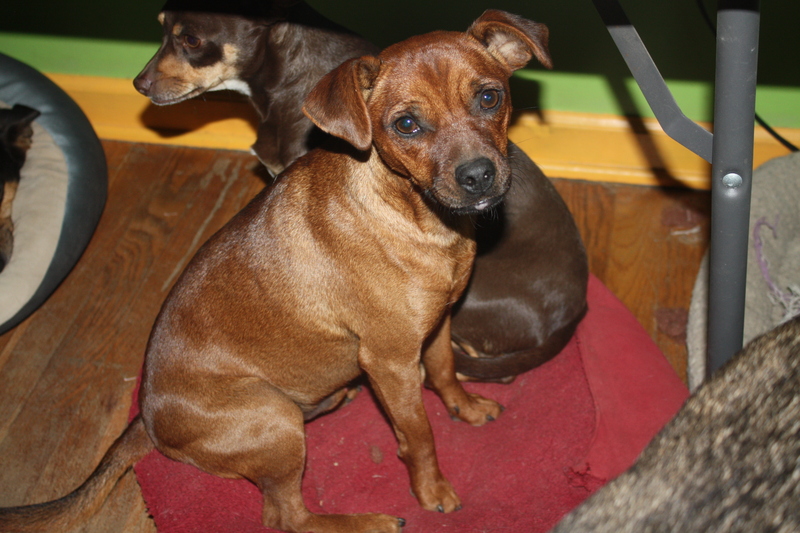 Charlie is a red Min Pin/Pug that is full of fun and energy. He just wants to play and run. Charlie is just a year old. He is neutered and up to date on shots and weighs 18 pounds. Charlie is microchipped. He is house and crate trained. Gets along great with other dogs and cats. Good with kids too. He would do best in a home with another dog to play with. Loves going for walks on a leash too.